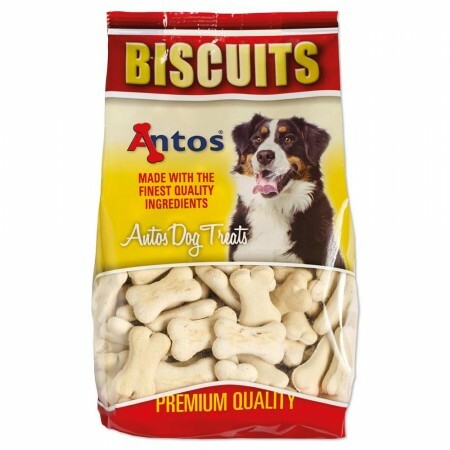 Treat your dog to a great taste and healthy smile with our biscuits. 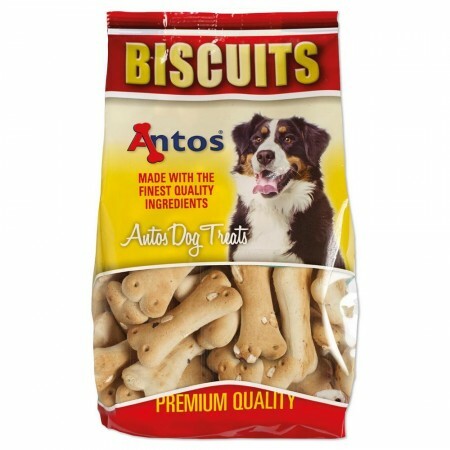 Giving valuable dog treats is an important part of training your dog. 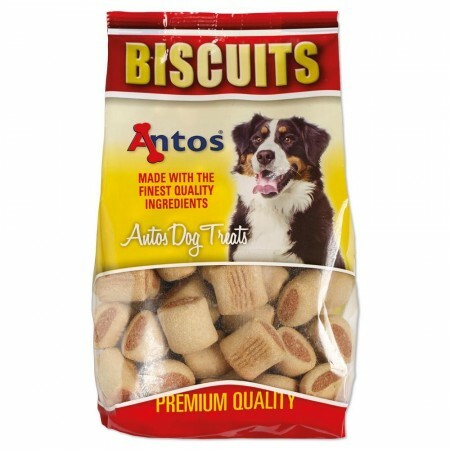 Our delicious and healthy biscuits are a great snack any time of the day. 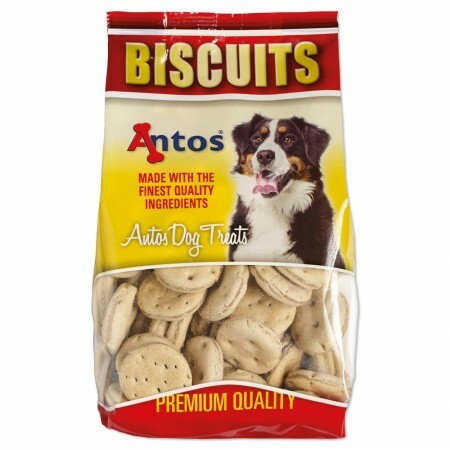 Packed with plenty of taste our pre-packed biscuits are great for dogs of all sizes. 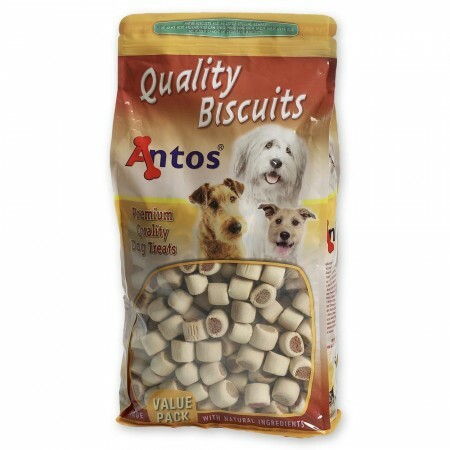 Dogs just simply love the bone crunch! Our crunchy biscuits are baked with the finest quality ingredients. Our wide range of biscuits provide a good choice for any dog between meal snack or reward. 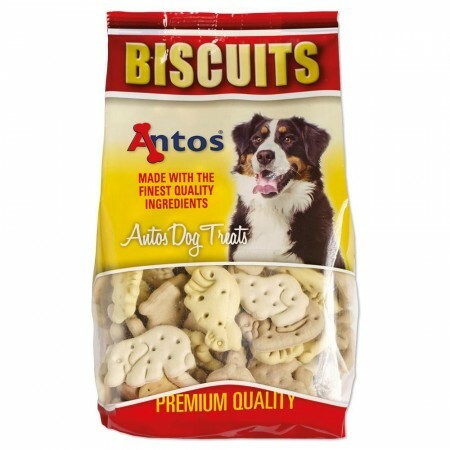 Made with premium ingredients, they are oven-baked and prepacked to seal in freshness and flavour. Our range of pre-packed biscuits is available in 350g and 400g packs. Doge love fish and it no surprise that salmon is healthy. So give your pet everything they need with our Duo Salmon cookies. These marrow bones with powerful tastes of chicken, cheese and salmon give plenty of goodness. 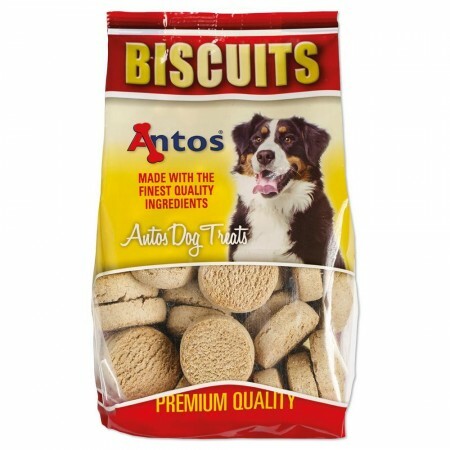 The biscuits contain added vitamins A, D3 and E, essential minerals as copper and zinc to help nourish the skin and promote a healthy shiny coat. These nutritious, sugar-free and easy to digest treats are perfect for training and rewarding your dog. 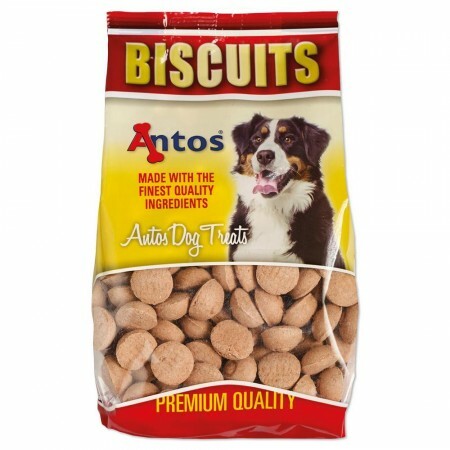 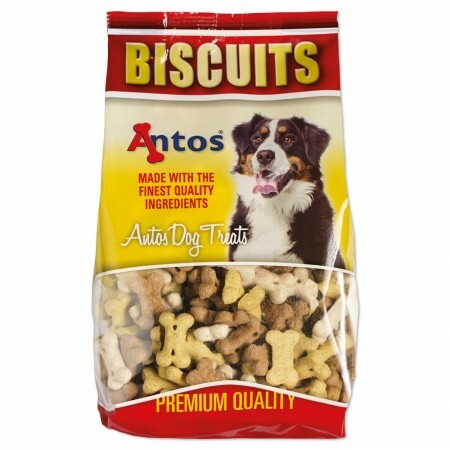 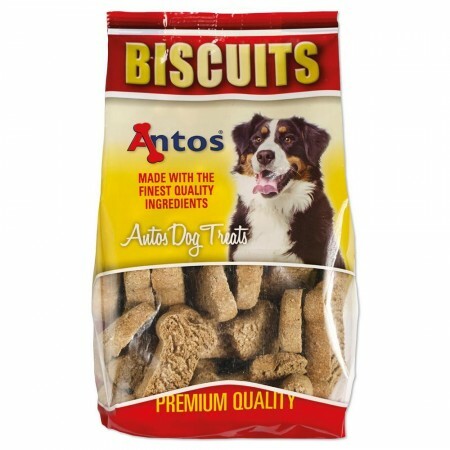 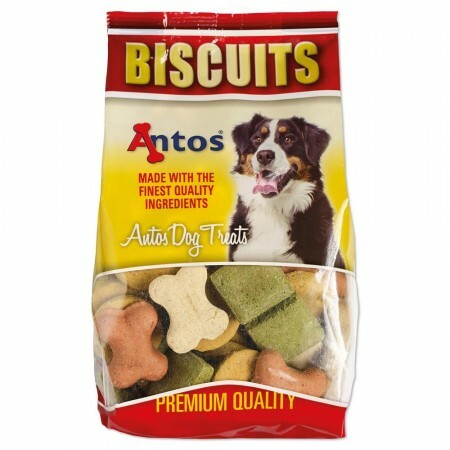 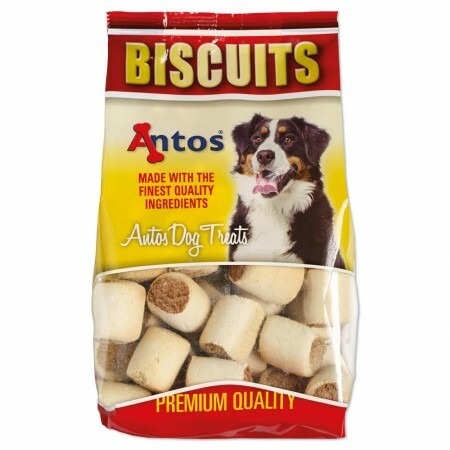 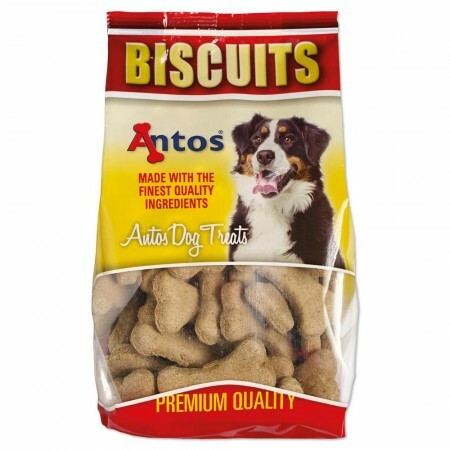 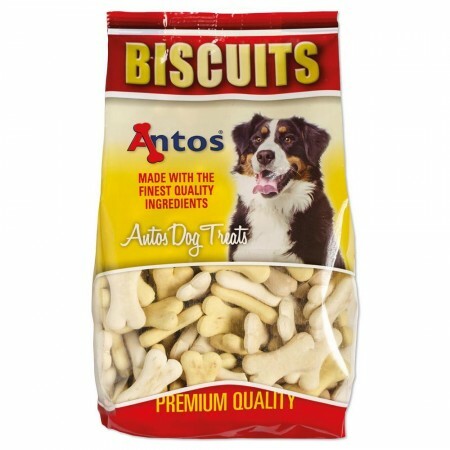 Our popular Antos Trainer is our smallest biscuit for dogs with plenty of chewing pleasure. 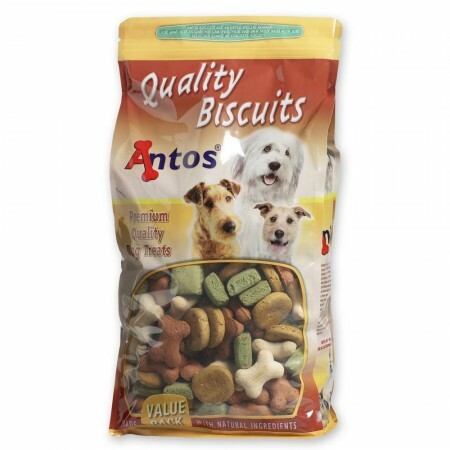 Dogs can enjoy the variety of flavourful meat-rich tastes every day. 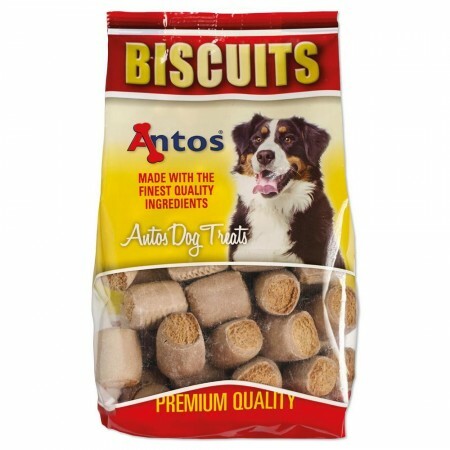 The crunchy biscuits even help remove plaque and tartar buildup and clean your dog’s teeth as he or she chews. 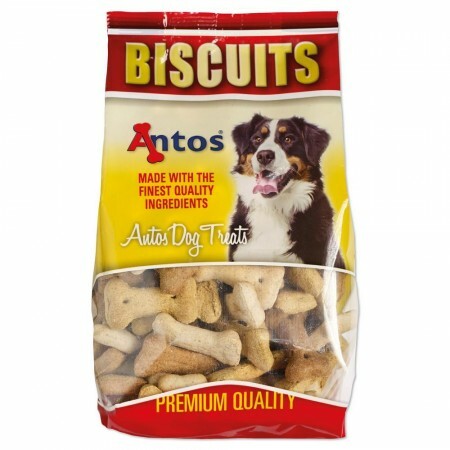 High quality and wholesome ingredients biscuits which are especially suitable for smaller dogs and puppies.